Upon completion of this lesson, you should be able to discuss actions, uses, untoward effects, administration, cautions, and contraindications of common aminoglycosides, sulfonamides, antifungals, antimalarials, and anthelmintics, as well as metronidazole and gamma benzene hexachloride. After studying the assignment, complete the exercises at the end of this lesson. These exercises will help you to achieve the lesson objectives. LESSON 6 DRUGS USED TO PREVENT AND TREAT INFECTION II Section I. AMINOGLYCOSIDES 6-1. The aminoglycosides, a group of antibiotics including streptomycin, neomycin, gentamicin, and kanamycin, are similar in mode of antimicrobial action, toxic effects, pharmacology, and chemistry. 6-2. Other organisms of known sensitivity. b. Usual Dosage. (1) other drugs. For tularemia--1 to 2 grams daily in divided doses for 7 to 10 days. For plague--2 to 4 grams daily in divided doses. This drug is given intramuscularly only. e. Supply. Streptomycin sulfate is supplied in 1-gram quantities of powder, which must be reconstituted before injection. Streptomycin sulfate injection, 0.4 gram/ml, is supplied in 2.5-ml cartridge-needle units. 6-3.
a. Indications. Kanamycin (Kantrex) is a broad-spectrum bactericidal antibiotic. Because of its potential for toxic side effects, its use is limited mainly to certain serious gram-negative infections. It should not be used when less toxic anti-infective agents are available. It is effective in the treatment of E. coli, Proteus species, Enterobacter aerogenes, Klebsiella pneumoniae, Serratia marcescens, and Mima-Herrelea. Although kanamycin is not the drug of choice for staphylococcal infections, it may be indicated under certain conditions for the treatment of known or suspected staphylococcal disease. These situations include: (1) The initial therapy of severe infections where the organism is thought to be either a gram-negative bacterium or a staphylococcus. (2) Infections due to susceptible strains of staphylococci in clients allergic to other less toxic antibiotics. Mixed staphylococcal and gram-negative infections. b. Administration. The usual dose is 7.5 mg/kg of body weight, IM every 12 hours. The average daily adult dose is 1.0 gram. (1) Uncomplicated infections of sensitive organisms should respond in 24 to 48 hours. Should no improvement be seen in 3 to 5 days, therapy should be stopped and bacterial sensitivity rechecked. (2) Partially used vials should be discarded after 48 hours, and kanamycin should not be physically mixed with other anti-infective agents. c. Cautions and Warnings. (1) Prior to and during therapy, audiograms should be obtained on clients with kidney dysfunction if therapy is to last more than 5 days. (2) hearing loss. Bacterial or mycotic superinfections may occur with therapy. Pain or irritation may occur at the site of injection. (2) Eighth cranial nerve damage, affecting mainly hearing, may be irreversible. In some clients, this hearing loss may not be detected until after therapy has been discontinued. Nerve damage is more likely to occur in clients with renal impairment. (3) Renal function impairment with nitrogen retention and proteinuria can occur during kanamycin therapy, especially in clients with pre-existing kidney damage. (4) Neuromuscular paralysis with respiratory depression has been reported following parenteral or intraperitoneal administration. e. Supply. Kanamycin sulfate injection, 37.5-mg/ml for pediatric use, is supplied in 2-ml units. The preparation for adult use, 333-mg/ml, is supplied in 3-ml units. 6-4.
a. Gentamicin sulfate (Garamicin) has the same general uses and warnings as kanamycin (above). It is effective against most strains of staphylococci, E. coli, Klebsiella, Enterobacter, and Pseudomonas aeruginosa, and many strains of Proteus and Serratia. b. The concomitant use of carbenicillin (a penicillin) with gentamicin may result in synergistic activity against some strains of Pseudomonas and may allow for lower doses of gentamicin to be used. c. Gentamicin is not considered the drug of choice for treating gram-negative sepsis because of susceptible organisms. d. It is available as gentamicin sulfate cream (1-mg of gentamicin per gram) and as gentamicin sulfate injection (40-mg/ml) in a 2-ml bottle for intramuscular use. 6-5. Neomycin is often combined with the narrow-spectrum antibiotic bacitracin. Bacitracin (not an aminoglycoside) is especially effective against grampositive organisms. It too is usually confined to topical use. It is often effective in the treatment of infections associated with wounds, carbuncles, superficial and deep abscesses, and infected ulcers. It is available alone in bacitracin ointment and bacitracin ophthalmic ointment. a. Neomycin Sulfate. Neomycin sulfate is available alone in a powder and in 350-mg tablets. b. Bacitracin and Neomycin Sulfate Ointment. Bacitracin and neomycin sulfate (Bacimycin) ointment contains 500-units of bacitracin and 3.5-mg of neomycin sulfate in each gram. This ointment must not be used in the eyes, deep or puncture wounds, or severe burns. Prolonged use may result in superinfection; if this occurs, use of the ointment should cease and other treatment used. c. Neomycin Sulfate and Dexamethasone Sodium Phosphate Ophthalmic Ointment. This ophthalmic ointment (NeoDecadron) is included in a chemical agents casualty treatment set. An ophthalmic solution of the same drugs is also available. It is indicated for severe conditions such as corneal burns and ocular infections in which vision is threatened by acute, severe uveitis and stromal edema. (More extensive information should be consulted prior to its use.) Dexamethasone, a synthetic drug similar to hydrocortisone, is included for its anti-inflammatory and anti-allergic effects, but it may also reduce tissue resistance to infection. Neomycin generally helps to control infections which may result from suppression of the inflammatory response or which may be secondary to the original irritation. d. Neomycin Sulfate, Hydrocortisone, and Polymyxin B Sulfate Suspension. These eardrops (Cortisporin Otic Drops) may be used to treat otitis external (inflammation of the external ear) caused by organisms susceptible to neomycin or polymyxin B (also an antibiotic). Hydrocortisone is included for its antiinflammatory effects; however, it may also reduce tissue resistance to infection. An ophthalmic suspension of the same drugs is also available. e. Neomycin Sulfate, Gramicidin, and Polymyxin B Sulfate. These three antibiotics are available both in a cream and in an ophthalmic solution. Section II. SULFONAMIDES 6-6. In the 1930's, chemists in Germany developed a substance, prontosil, which was effective against hemolytic streptococci. Later, researchers in France added hydrogen to a portion of the prontosil molecule and thus created the basic sulfonamide, which had a therapeutic efficacy no less than that of prontosil. These were the first chemical agents to be successfully employed systemically for the prevention and cure of bacterial infections. In the following years, many more alterations were made in the sulfonamide molecules, creating a large number of antibacterial drugs. Even with the advent of antibiotics, the sulfonamides are still drugs of choice for some types of infection. In fact, because of their low cost and their usefulness in some common infections, they are still among the most widely used antibacterial agents. a. The sulfonamides are bacteriostats. They stop bacterial growth by interfering with the production of folic acid in the bacteria cells. They do not interfere with human utilization of folic acid. b. The ranges of effectiveness of the various sulfonamides are very similar to each other. However, some sulfonamides may be more potent against specific types of infection than others. The sulfonamides are effective against gram-positive and gramnegative bacteria, as well as several other types of microorganisms. 6-8. Meningococcal meningitis because of susceptible organisms. Systemic sulfonamides are contraindicated for infants under two months of age. (2) Adult. The initial adult dose is 2 to 4 grams. The maintenance dose is 4 to 8 grams daily, divided into 4 to 6 doses. Clients with G6PD deficiency may develop hemolytic anemia. e. Supply. Sulfisoxazole tablets, 0.5 gram each, are available. 6-9. As adjunctive treatment in systemic therapy of trachoma. Solutions are incompatible with silver preparations. d. Adverse Reactions. Common side effects are fever, skin rashes, urticaria, photosensitivity, and conjunctivitis. e. Supply. Sodium sulfacetamide is supplied as a 15 percent ophthalmic solution and as a 10 percent ophthalmic ointment. It is also available in combinations called sodium sulfacetamide, phenylephrine hydrochloride, and prednisolone acetate ophthalmic suspension and sodium sulfacetamide and prednisolone acetate ophthalmic suspension. Tinea palmaris--palm of the hand. Tinea cruris ("jock itch")--upper surface of the thighs. trunk. b. Candidiasis. Candidiasis (moniliasis) is an infection caused by Candida (the pathogenic species in man is Candida albicans). This yeast-like fungus is normally present on the mucous membranes of the gastrointestinal, respiratory, and female genital tracts, but when the body defense mechanisms are weakened or when other microbes have been destroyed by antimicrobial therapy, Candida albicans can establish dominance in these and other areas. Candidiasis of the throat is called thrush. c. Deep Mycoses. Deep mycoses are often accompanied by systemic involvement, can be fatal, and are exceedingly difficult to treat. Fortunately, they are not common. 6-11. GRISEOFULVIN TABLETS a. Indications. Griseofulvin (Fulvicin U/F) tablets are indicated for the treatment of dermatophytosis, including ringworm. Griseofulvin may increase the rate of metabolism of oral anticoagulants. Tolnaftate is of no use in Candida or bacterial infections. It should not be applied to areas, which are acutely inflamed or infected. Topical. Ointment or cream--applied locally 3 to 4 times daily. Vaginally. 100,000 to 200,000-units daily for 2 weeks. Local burning, irritation, and itching have been noted. This product may cause staining of the skin, hair, and clothing. The cream has a slightly drying effect, which is useful for moist, weeping lesions. The ointment is especially indicated for dry lesions accompanied by thickening and scaling of the skin. Mild to moderately severe seborrheic dermatitis. (a) Apply sufficient amounts to cover affected areas of body (except face). Allow to remain 5 minutes and rinse thoroughly. Toxic if taken orally, but little toxic effect topically. Do not allow contact with eyes or genital region. May cause excessive oiliness of hair. May tint gray hair orange because of incomplete rinsing. Discontinue use if skin sensitivity occurs. Chemical conjunctivitis can occur if allowed to enter the eye. (3) Application to acutely inflamed scalp may result in cutaneous absorption with possible systemic toxic effects, which include nervousness, drowsiness, convulsions, death from vasomotor and respiratory depression. e. Supply. Selenium sulfide lotion is supplied as a 2.5-percent suspension in a 4-fl oz container. 6-16. UNDECYLENIC ACID a. Undecylenic acid (Desenex) is a fungistat, which is used to treat athlete's foot and ringworm of the body. Since it is only fungistatic and not fungicidal, attention must be directed to other hygiene, especially where there are raw lesions. Fungicidal foot powder and undecylenic acid ointment both contain, in addition, the astringent zinc undecylate to help reduce rawness and irritation. Response of athlete's foot to the drug is often dramatic, but the infection sometimes persists despite treatment. b. Undecylenic acid is available as a 10 percent solution in 59-ml bottles; as an ointment in 1-ounce (28.35-gram) containers; and as a 1 percent foot powder in 1ounce (28.35-gram) containers. Section IV. 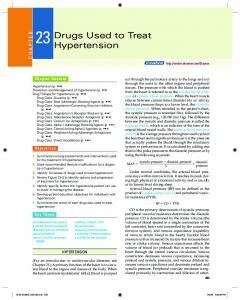 ANTIMALARIAL DRUGS 6-17. MALARIA a. Cause and Transmission. Malaria is caused by a microbe called the plasmodium. There are four principal species of malaria-producing plasmodia--P. falciparum, which caused about 84 percent of the cases of malaria contracted by Americans in Vietnam; P. vivax, a more benign plasmodium which caused about 85 percent of the cases of malaria contracted in the United States in 1971; P. malariae, which causes the form of malaria called quartan malaria; and P. ovale, a plasmodium rarely seen except in certain parts of South America and East and West Africa. These parasites are generally transmitted by the Anopheles mosquito, of which there are many species. (An important method of defense against malaria, in addition to control of the mosquito and its environment, is personal measures taken to avoid mosquito bites.) In addition to transmission by mosquitos, malaria may also be transmitted in a blood transfusion or in a contaminated needle used for an injection. b. Progression of Malaria in Man. After a person has been infected with malaria by a mosquito, there is a latent period called the tissue stage, when the parasites, or schizonts, are multiplying in liver cells. This stage without overt effects generally lasts from 10 days to 6 weeks, depending on the type of malaria, but may last as long as several months. Eventually, however, the parasites, now called merozoites, enter the red blood cells, where they develop into small, ring-shaped forms called trophozoites. The trophozoites grow rapidly and fill the cells, and some of them develop into still other forms, sexual forms called gametocytes. During this stage, called the erythrocytic stage, many of the red blood cells burst and the typical symptoms of malaria--a chill followed by a fever, profuse sweating, headache, and backache--ensue. Meanwhile, some of the schizonts may remain in the liver, and, if not destroyed, cause a relapse of the disease even when the parasites in the blood have been destroyed by drugs. The details of the life cycle of the Plasmodium are illustrated in Figure 6-1. Figure 6-1. Life cycle of Plasmodium, the malaria parasite. 6-18. CLASSIFICATION OF ANTIMALARIAL DRUGS Antimalarial drugs are often classified according to the stage in the life cycle of the Plasmodium against which they are capable of acting. The categories are the primary tissue schizonticides, the secondary tissue schizonticides, the blood schizonticides, the gametocides, and the sporontocides. a. Antimalarial Drugs Beneficial in the Treatment of Clinical Malaria. (1) Primary tissue schizonticides. These drugs destroy the primary tissue schizonts in the liver soon after infection by the mosquito. An example is primaquine. (2) Secondary tissue schizonticides. These drugs destroy the secondary tissue schizonts in the liver and thus prevent the relapsing fevers characteristic of P. vivax, P. malariae, and P. ovale (but not characteristic of P. falciparum, the most lethal form of malaria). Primaquine serves this purpose also. (3) Blood schizonticides. These drugs destroy the schizonts and merozoites in the red blood cells and thus relieve the symptoms of malarial infection. They include quinine, quinacrine, and chloroquine. These drugs are often capable of curing malaria because of P. falciparum. b. Drugs Useful in the Prevention of Transmission of Malaria. The following two categories of drugs do not necessarily help the immediate client, but they do help prevent transmission to other people by way of mosquitoes. (1) Gametocides. These drugs (primaquine is an example of this category too) prevent mosquitoes from acquiring the infection from a client by destroying the gametocytes in the client's blood. (2) Sporontocides. The sporontocidal drugs (for example, pyrimethamine) act inside the mosquito after it has ingested the client's blood. There they prevent the reproduction of the zygote, the formation of sporozoites. 6-19. CHLOROQUINE AND PRIMAQUINE PHOSPHATE TABLETS a. Action and Uses. The standard chloroquine-primaquine (CP) tablet is used for malaria prophylaxis in all geographic areas where malaria is endemic. Each tablet contains 500-mg of chloroquine phosphate (equivalent to 300-mg of chloroquine base), which is a blood schizonticide for all four types of malaria mentioned above. It is thus used to prevent the appearance of symptoms of malaria. The 79-mg of primaquine phosphate (equivalent to 45 mg of primaquine base) in each tablet acts to destroy the primary tissue schizonts of P. falciparum or P. vivax and the secondary tissue schizonts of the malarias characterized by relapses, that is, P. vivax, P. malariae, and P. ovale. (Thus, primaquine can be used to cure malaria as well as to prevent it or treat its symptoms. However, CP tablets should NOT be used for therapy of acute attacks of malaria. The toxic effects of taking more than one CP tablet in 1 day are severe.) b. Usual Dosage. (1) Adults and children over 100 pounds: One tablet weekly on the same day of each week, starting at least 1 day before entering the area. After leaving the area, continue this schedule (one tablet weekly) for 8 weeks. The CP tablet should not be used in the treatment of malaria. (2) Some individuals may respond to the primaquine in the CP tablet with a hemolytic reaction. If this happens and is severe enough, plain chloroquine tablets at the same dosage may be substituted for prophylaxis. (3) Concurrent use of quinacrine with primaquine may cause agranulocytosis. (4) Dapsone, 25-mg daily, may be used as an adjunct to the CP tablet in resistant falciparum areas. 6-20. CHLOROQUINE a. Indications. Chloroquine (Aralen) is a blood schizonticide indicated in the: (1) falciparum. Treatment of uncomplicated attacks of malaria except resistant P.
Parenteral treatment of severe malaria illness except resistant P.
Prophylaxis and suppression of malaria while in an endemic area. This drug is also indicated for treatment of discoid lupus erythematosis, rheumatoid arthritis, and extraintestinal amebiasis. b. Usage Dosage. Oral administration is preferred whenever possible. (1) Prophylaxis of malaria: 500-mg (300-mg base) once weekly, beginning 2 weeks before exposure and continuing for 8 weeks after last exposure in endemic area. (2) Oral administration for treatment of malaria: One gram (2 tablets) to start, followed by one tablet (0.5 -gram) in 6 hours. One tablet is then given daily for the next two days. Total dosage is four doses over a 3-day period for a total of 2.5-grams of chloroquine phosphate (1.5-grams of chloroquine base). (3) Parenteral administration in critically ill malaria clients: One 5-ml ampule equivalent to 200--mg of base is given intramuscularly. This may be repeated in 6 hours, but total parenteral dosage in first 24 hours should not exceed 4 ampules or 800mg of chloroquine base. (4) For blackwater fever in areas where drug resistance has not been encountered: 200-mg base diluted with 40--ml of normal saline given slowly intravenously. c. Adverse Effects. (1) Mild transient headaches, pruritis, anorexia, blurring of the vision, vertigo, diarrhea, malaise, and urticaria have been infrequently reported. (2) Signs of acute chloroquine intoxication include myocardial depression, disturbances in cardiac conduction, arrhythmias, hypotension, CNS stimulation with convulsion, and eventual paralysis of vital brain centers. d.
(1) Chloroquine is extremely toxic for young children. The toxic dose for children is 20 mg/kg and the lethal dose is 100-mg/kg. (2) Prolonged use of large doses of chloroquine has commonly produced retinal changes or visual impairment after several months or years of treatment. (3) Chloroquine accumulates in the liver and should be used with caution in clients with liver disease. It is contraindicated in clients with psoriasis. Avoid its use in pregnancy unless there is an overwhelming need for it. Chloroquine may color urine rusty yellow or brown. base). (2) Chloroquine hydrochloride injection, 5-ml ampules containing equivalent of 200-mg of base. 6-21. PRIMAQUINE a. Uses. Since primaquine, a tissue schizonticide, is not effective against blood schizonts, it will not provide immediate relief to acute symptoms of malaria such as fever. However, it is capable of preventing infection because of P. falciparum if it is administered soon after the mosquito bite. It is used along with blood schizonticides in radical (complete) cures of the relapsing malarias, that is, those due to P. vivax, P. malariae, and P. ovale. Unfortunately, there are some strains of P. vivax, which are partially resistant to primaquine. Since primaquine inhibits gametocytes, it is effective in preventing the transmission of malaria to other persons by way of mosquitoes. b. Toxicity. (1) Primaquine sensitivity. Some people have an inherited sensitivity to primaquine because of a deficiency of a substance called G6PD, which is important to metabolism in the red blood cells. They may react to large doses of primaquine with chills, malaise, and weakness, resulting from hemolysis. The incidence of this deficiency is much greater among people whose ancestors have lived in areas where malaria due to P. falciparum is common. These people include blacks, Greeks, Iranians, Sardinians, and Sephardic Jews. The prophylactic dose, such as that found in the CP tablet, seldom causes any intense reaction. However, when these groups are treated with primaquine for preexisting malarial infections, that is, when the doses are greater, the clients should be observed closely for hemolysis. Each such client receiving primaquine should be told to report signs of hemolysis, such as red or dark coloration of the urine. (2) Side effects. The side effects of primaquine may include difficulty in focusing, itching, nausea, headache, and abdominal cramps (which antacids relieve). Some blood disorders may occur. c. Contraindications. Primaquine should not be given to clients with a tendency toward active rheumatoid arthritis, granulocytopenia, lupus erythematosus, or any very serious systemic disease. Primaquine should not be given concurrently with quinacrine or any drug, which depresses the bone marrow. Large doses of primaquine should usually be avoided. d. Dosage. Primaquine is given orally. The usual dose is one tablet daily for 14 days. In all forms of leprosy. It is not rapidly effective in terminating acute attacks of malaria. The lethal dose of quinine is about 8 gm. adults. (2) For the treatment of resistant Plasmodium falciparum, the drug is administered orally in a dosage of 25-mg twice daily for three days in combination with quinine or dapsone. (3) For the treatment of toxoplasmosis in the adult, the starting dose is 50 to 75-mg daily combined with 1 to 4-grams of a sulfonamide drug (that is, sulfadiazine). This dosage is continued for 1 to 3 weeks. The dosage may then be reduced to about one-half that previously given for each drug and continued for an additional 4 to 5 weeks. shock. (3) Because this is a folic acid antagonist, it tends to cause bone marrow depression when given at high doses. Periodic blood counts should be run. If signs appear, then the drug dosage should be reduced. d. Adverse Reactions. Anorexia, vomiting, megaloblastic anemia, and bone marrow depression with leukopenia and thrombocytopenia have been observed. e. Supply. Pyrimethamine is supplied in 25-mg tablets. 6-25. SULFADOXINE AND PYRIMETHAMINE a. Uses. Sulfadoxine and pyrimethamine (Fansidar) is used in the treatment of plasmodium falciparum malaria in clients in whom chloroquine resistance is suspected and for the prophylaxis of malaria for travelers to areas where chloroquine-resistant plasmodium falciparum malaria is endemic. b. Usual Dosage. (1) For treatment of malaria, adults take 2 or 3 tablets in a single dose alone or in sequence with quinine regimen. (2) For prophylaxis of malaria for travelers in endemic areas, adults take one tablet one or two days before departure and then take one tablet weekly during the stay and for 4 to 6 weeks after return. c. Cautions and Warnings. (1) Fatalities have been associated with sulfadoxine/pyrimethamine use. Discontinue use if skin rash appears, if the count of any formed blood elements is reduced significantly, or if active bacterial or fungal infections occur. (2) Clients must maintain adequate fluid intake to prevent crystalluria and stone formation. Take contraceptive measures to avoid pregnancy during therapy. Necator americanus (hookworm, tropical type)--mebendazole. (4) Strongyloides stercoralis (threadworm)--thiabendazole (or perhaps pyrvinium pamoate). Enterobius vermicularis (pinworm)--pyrantel pamoate (or mebendazole). (4) Hymenolepis nana (dwarf tapeworm), H. diminuta (rat tapeworm), and Dipylidium caninum--niclosamide. c. Infections with Flukes. THE RECOMMENDATION OF DRUGS FOR INFECTION WITH FLUKES, AS GIVEN BELOW, IS IN SOME CASES ONLY TENTATIVE. Stibocaptate bithionol is available for investigational use only. Fasciolopsis buski (large intestinal fluke) praziquantel or niclosamide. Paragonimus westermani (lung fluke)--praziquantel (or bithionol). (10) Fasciola hepatica (sheep liver fluke)--praziquantel (or bithionol). Pinworm infection: A single tablet given once. Fever, a possible response to drug-induced necrosis, has been reported. e. Supply. Mebendazole (Vermox) is supplied as 100-mg tablets. 6-29. DIETHYLCARBAMAZINE CITRATE a. Indications. Diethylcarbamazine citrate (Hetrazan) is orally effective in the treatment of filariasis caused by Wuchereria bancrofti, W. (Grugia) malayi or Loa loa. Diethylcarbamazine also has limited usefulness in Onchocerca vulvulus infection ("river blindness"). b. Usual Dosage. (1) W. bancrofti, W. malayi, and Loa loa--2-mg/kg of body weight three times a day after meals for 3 to 4 weeks. The microfilariae in the blood are rapidly killed, but repeated courses of therapy may be required to destroy adult worms. Three to 4 weeks should be allowed between each course of therapy. Safety in pregnant women has not been established. d. Adverse Effects. Anorexia, nausea, vomiting, abdominal cramps, diarrhea, headache, dizziness, and skin rash have been observed with the administration of this medication. e. Supply. Pyrantel pamoate (Antiminth) is supplied as an oral suspension containing 50-mg pyrantel per ml. 6-31. PIPERAZINE CITRATE a. Indications. Piperazine citrate (Antepar) is an alternate drug of choice for roundworms (Ascaris lumbricoides) and pinworms (Enterobius vermicularis). Piperazine blocks the response of acetylcholine in the worm causing flaccid paralysis of the worm. The worm is then dislodged and expelled by peristalsis. b. Usual Dosage. Piperazine is best taken on an empty stomach. The surface contact between drug and parasite is diminished in the presence of food. (1) Roundworms can be treated with 75-mg/kg daily for two consecutive days (maximum daily dose = 3.5-grams). Piperazine may be used during the third trimester of pregnancy. 4 tablets as a single daily dose for 7 days >75-lbs 3 tablets on 1st day, then 2 tablets daily for the next 6 days 25 to 75-lbs 2 tablets on 1st day followed by 1 tablet daily for the next 6 days. Safety for use during pregnancy has not been established. It should not be used in the treatment of small, severely ill children. (2) Praziquantel appears in breast milk. Women should not nurse on the day of treatment and during the subsequent 72 hours. (3) established. d. Adverse Reactions. Praziquantel is well tolerated and side effects are usually mild. The most frequently reported side effects are malaise, headache, dizziness, and abdominal discomfort. e. Supply. Praziquantel (Biltricide) is supplied as 600 mg film-coated tablets. Trichomonas vaginalis in both males and females. Entamoeba histolytica (a species of amebas). Trichomoniasis--concurrent treatment of sexual partners: (a) Female--one tablet three times a day for 10 days. (b) Male--one tablet twice a day for 10 days. (2) Giardiasis--two courses of metronidazole therapy: 500-mg daily for 5 days, repeated after a 15-day interval. (3) Amebiasis (infection with amebas, especially E. histolytica, both intestinal infections and hepatic abscesses: 750-mg three times a day for 5 to 10 days. c. Adverse Reactions. There is a low incidence of untoward effects. Nausea, vomiting, a metallic taste, and a darkening of the urine are the most commonly reported side effects. Metronidazole is inactive against Candida albicans infections. EXERCISES, LESSON 6 INSTRUCTIONS: Answer the following exercises by marking the lettered response that best answers the exercise or completes the incomplete statement. After you have completed all of these exercises, turn to "Solutions to Exercises" at the end of the lesson and check your answers. For each exercise answered incorrectly, reread the material referenced with the solution. 1. For systematic effect, streptomycin is given by which of the following routes? a. Any of the below b. Orally c.
Which of the following untoward effects may occur with the use of streptomycin? a. Deafness b. Blindness c.
d. Loss of sense of touch 3. Personnel preparing streptomycin solutions should wear rubber gloves to protect themselves from: a. 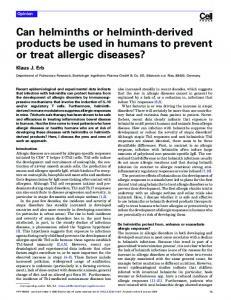 Resistant organisms b. Allergic reactions c.
Which of the following factors is likely to produce toxic effects when streptomycin is being administered? a. Giving it without food or milk b. Giving it at mealtime c.
d. Giving it with another antibiotic 5. Which of the following drugs exhibits ototoxic effects? a. All of the below b. Streptomycin c.
d. Gentamicin e. Neomycin 6. Bacitracin is most frequently administered in which of the following ways? a. IM b. IV c.
Bacitracin is effective primarily against: a. Gram-negative bacteria b. Gram-positive bacteria c.
A sulfonamide commonly used for treatment of infections of the genitourinary tract is: a. Nystatin b. Griseofulvin c.
Crystalluria may be a complication of treatment with which of the following drugs? a. Kanamycin b. Primaquine c.
How is griseofulvin administered? a. Orally b. Rectally c.
Tolnaftate is used topically in the treatment of athlete's foot, ringworm, and other fungal infections. However, if the scalp, nails, palms, or soles are infected, which of the following oral preparation is indicated. a. Nystatin b. Griseofulvin c.
Which of the following drugs is indicated in the treatment of candidiasis? a. Tolnaftate b. Nystatin c.
Which of the following is indicated in the treatment of common dandruff, seborrheic dermatitis, and tinea versicolor? a. Nystatin b. Selenium sulfide c.
d. Iodochlorhydroxyquin and hydrocortisone 14. At the time that an infected Anopheles mosquito bites a person, the malaria parasite introduced into the person is called a: a. Merozoite b. Gametocyte c.
The clinical symptoms of malaria occur during the part of the life cycle of the malaria parasite when it is called: a. A merozoite b. An ookinete c.
d. A schizont e. A sporozoite 16. A particular antimalarial drug, which falls into only one of the categories below, will relieve symptoms of malaria, but it will not cure or prevent an infection with one of the relapsing malarias. It is a: a. Primary tissue schizonticide b. Secondary tissue schizonticide c.
d. Gametocide e. Sporonticide 17. A CP tablet is taken once every: a. Hour b. Day c.
What is the preferred method for the administration of chloroquine? a. Oral b. Subcutaneous c.
When chloroquine is given orally to treat malaria, a course of treatment consists of: a. 4 doses b. 8 doses c.
According to some authorities, which drug is responsible for blackwater fever? a. Quinine b. Quinacrine c.
Which of the following dose regimens of chloroquine phosphate would ordinarily be sufficient to produce a significant danger of eye damage? a. A weekly dose of 500 mg given for long-term prophylaxis b. A total of 2.5 gm given in divided doses over a period of 3 days c.
A drug that is effective in preventing transmission of malaria because it kills the sexual form of the parasite is: a. Chloroquine b. Quinine c.
What drug is used for the treatment of leprosy and, in combination with quinine and pyrimethamine, for chloroquine-resistant falciparum malaria? a. Chloroquine b. Primaquine c.
The blood schizonticide quinine is used to treat acute attacks of malaria resistant to which drug? a. Chloroquine b. Dapsone c.
What is the drug of choice for treating the giant intestinal roundworm? a. Niclosamide b. Mebendazole c.
Which of the following drugs should not be given concurrently with quinacrine? a. Quinine b. Chloroquine c.
A drug that stains tapeworms yellow is: a. Quinacrine b. Quinine c.
The disease that results from infection with E. histolytica is: a. Amebiasis b. Typhoid fever c.
When gamma benzene hexachloride is applied to treat scabies, the person should not bathe until after: a. 4 hours b. 12 hours c.
SOLUTIONS TO EXERCISES, LESSON 6 1. Report "LESSON ASSIGNMENT. Drugs Used to Prevent and Treat Infection II"